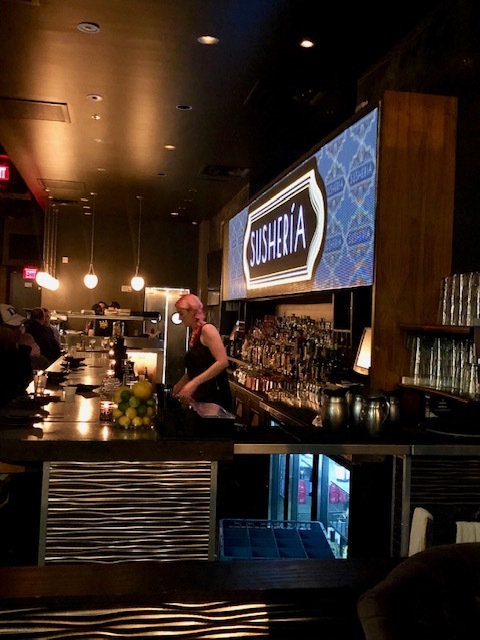 Glitzy art deco décor meets the Japanese-Peruvian fusion known as Nikkei cuisine at Sushería – the Georgetown waterfront restaurant transformed by owner Maurico Fraga-Rosenfeld from his previous spot, Maté. Nikkei is a result of an influx of Japanese immigrants to Peru in the late 1800’s. The cuisine contrasts the delicate flavors of Japan with the ingredients and the punch of Peruvian food. 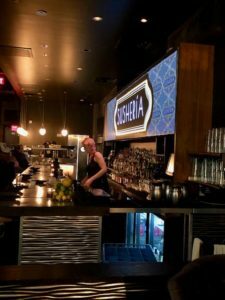 What’s on the menu at Sushería? 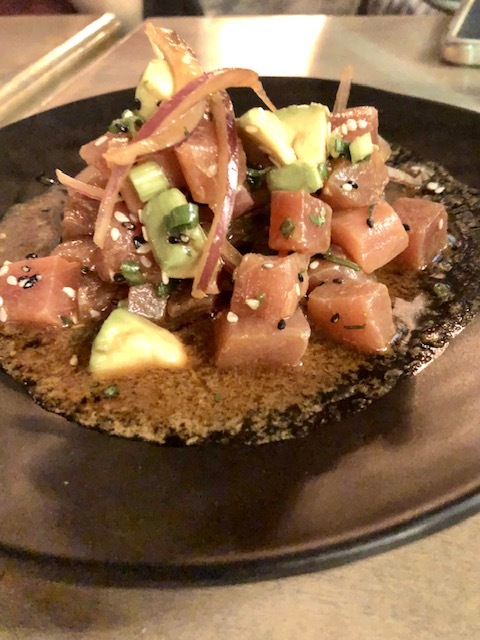 Sushería’s menu features ceviche, maki rolls, sashimi, and more by Fraga-Rosenfeld and his consulting chef, Peruvian-born Javier Angeles-Beron. The restaurant promotes izakaya-style dining, which translates to serving as a casual spot for eating and drinking. The cocktail program includes a sake bar with four drafts of unique sake. 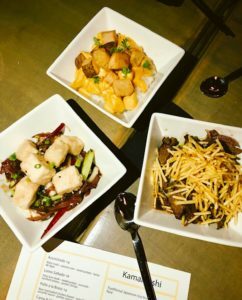 Some of the pairings at Sushería are straight-on contrasts between Japanese and Peruvian cuisine. Lomo Saltado maki rolls combine strip loin steak, sweet potato, avocado, sautéed onions and potato strings. Camaron Andino maki roll meshes shrimp tempura with queso fresco, avocado, aji Amarillo sauce, and crunchy quinoa. There are also slightly more subtle combinations, such as Sea Spider Maki with soft shell crab, avocado, asparagus, roe eggs, and soy paper. 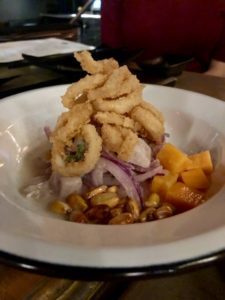 How do you like your ceviche? Options include Peruvian Ceviche with mahi mahi, cancha corn, and aji limo; Tuna Ceviche with avocado and soy-lime cured onions; or Lima’s Street Ceviche topped with fried calamari. Japanese rice bowls, called Kamameshi, are a highlight, accentuating just how well Japanese and Peruvian flavors complement each other. The Tuna Crudo bowl takes ahi tuna and avocado and steps it up with spring onions, sesame seeds, and crispy wontons. Pescado frito is a blend of mahi mahi, sweet potatoes, criolla red pepper sauce, and toasted Peruvian corn. Sushería’s culinary fusion isn’t the only yin and yang at play here. Crystal chandeliers and velvet chairs aren’t necessarily an intuitive match for casual dining and street food. But it works. Been There, Eaten That was a guest of Sushería.